• 16–20 inches high at the shoulder. • Weigh 25–35 pounds, 16–20 inches high at the shoulder. • Average life span 6 years; up to 13 years in the park. • Home range: 3–15 square miles. 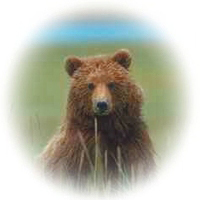 • Primarily eat voles, mice, rabbits, other small animals, and carrion—and only the very young elk calves in the spring. • 4–8 pups are born in April in dens; emerge in May. • Like other predators, coyotes were often destroyed in the early part of the 1900s because they sometimes preyed on livestock. • Coyotes continued to thrive because their adaptability enabled them to compensate for the destruction efforts. • Elimination of wolves probably resulted in high coyote population densities; wolves' absence opened a niche that coyotes could partially occupy in Yellowstone. Often mistaken for a wolf, the coyote is about one-third the wolf's size with a slighter build. Its coat colors range from tan to buff, sometimes gray, and with some orange on its tail and ears. Males are slightly larger than females. During the 1900s, coyotes partially filled the niche left vacant after wolves were exterminated from the park. In Yellowstone, they live in packs or family groups of up to seven animals, with an alpha male and female, and subordinate individuals (usually pups from previous litters). This social organization is characteristic of coyotes living in areas free from human hunting. 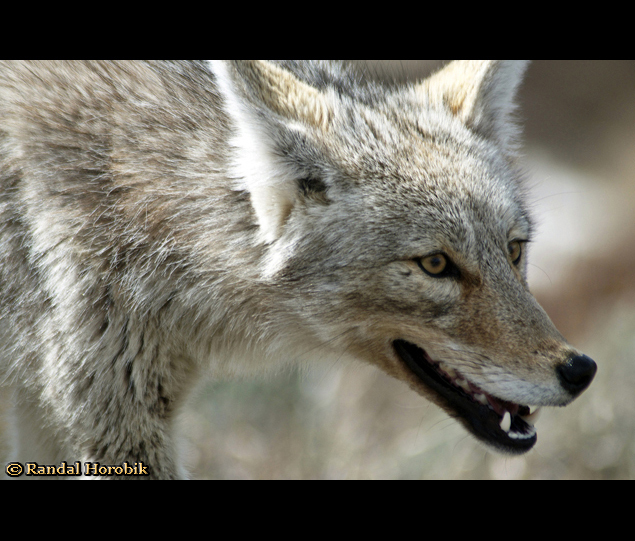 Coyotes, also known as "song dogs," communicate with each other by a variety of long-range vocalizations. You may hear groups or lone animals howling, especially during dawn and dusk periods. Coyotes also use mark with their scent (urine and feces) to communicate their location, breeding status, and territorial boundaries. 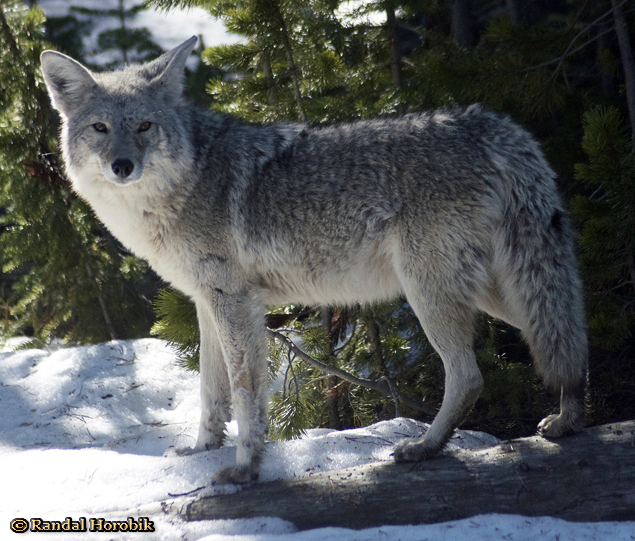 Until 1995, coyotes faced few predators in Yellowstone other than cougars, who will kill coyotes feeding on cougar kills. After wolves were restored, however, dozens of coyote pups and adults were killed by wolves—primarily when feeding on other animals killed by wolves. 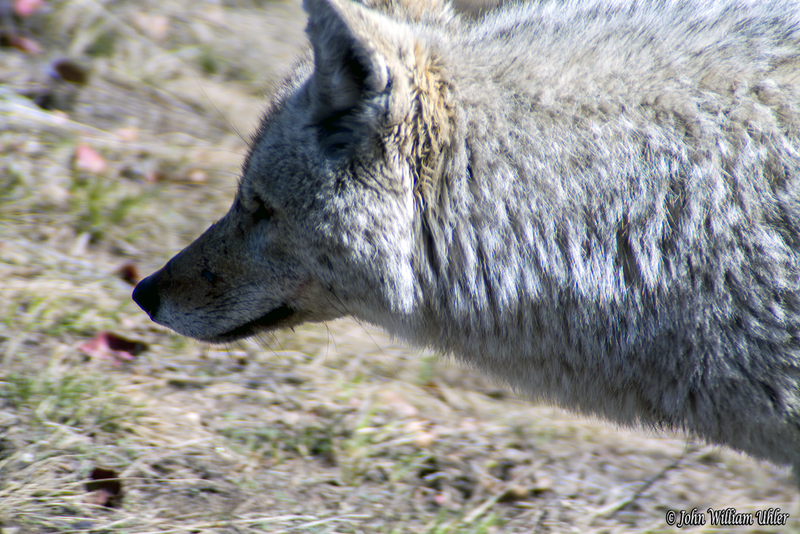 On the northern range, the coyote population decreased as much as 50 percent after wolves were restored as a result of competition with wolves for food, attacks by wolves, and loss of territory to them. 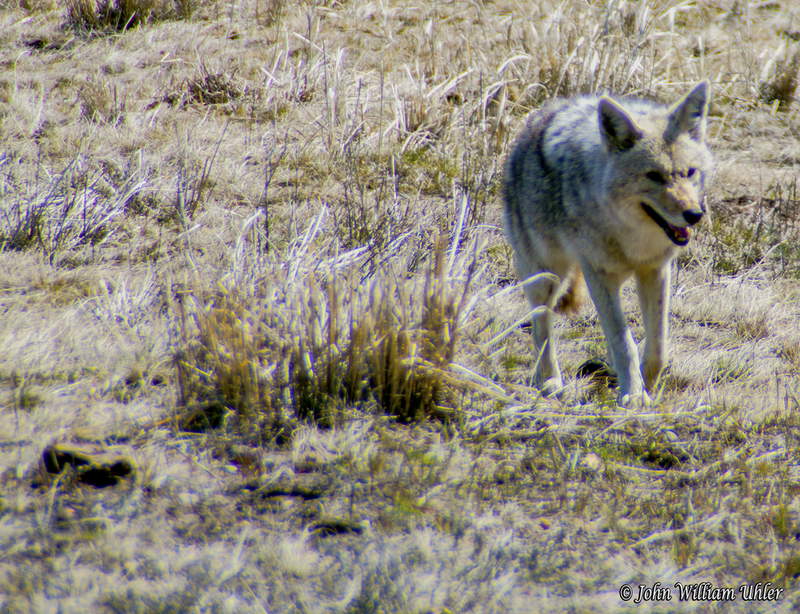 More recent trends in the Lamar Valley, however, indicate that the coyote population has increased. Coyotes also face threats from humans. They quickly learn habits like roadside feeding. This may lead to aggressive behavior toward humans and can increase the risk of the coyote being hit by a vehicle. Several instances of coyote aggression toward humans have occurred here, including a few attacks. Park staff scare coyotes from visitor-use areas and becoming habituated to humans with cracker-shell rounds, bear pepper spray, or other negative stimuli. Animals that continue to pose a threat to themselves or to humans are killed. Coyotes and other park wildlife are wild and potentially dangerous and should never be fed or approached. 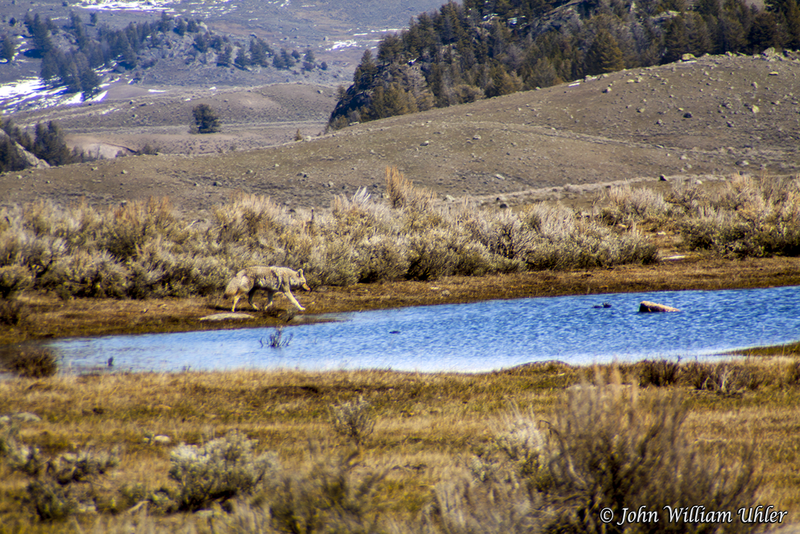 Comparisons of coyote population and behavioral data from before and after wolf restoration provide evidence of how the presence of wolves is changing ecological relationships on the northern range. A reduced coyote population could mean that smaller predators such as the native red fox, whose numbers were previously kept low by coyotes, will have less competition for small prey and their populations may increase. 1 "Canis latrans". Animal Diversity Web. Retrieved May 1st, 2014. Other information provided by Yellowstone National Park (NPS).